Creating a loyal customer base is critical to the success of your MLM business. 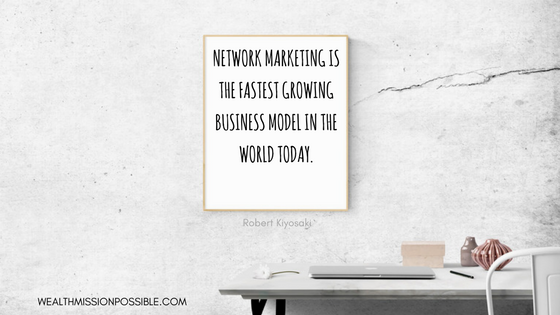 Some network marketers focus only on getting new distributers. But one thing they are missing is the fact that when you have a large customer base that loves the products, they are also your best prospects to talk to about the business. If people love the products of your MLM and their friends are asking about them, it makes sense that you should approach them about the opportunity. 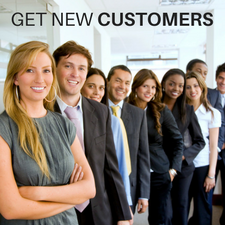 Today I have the top 3 ways to get new customers for your MLM business. In my MLM business, I have over 11,000 customers. That’s in just one business! 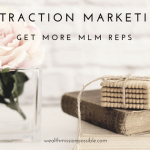 I was able to get all my new customers online using a variety of attraction marketing methods. But the three I will talk to you about today worked the best for attracting new customers to my business. Have you considered starting an MLM blog? It’s been my number one method of how to get more customers online. It was hard work, I admit. I would say that 11,000 customers was well worth it, don’t you agree? Researched the target market for the MLM products of my company. Discovered what type of things these people need help with. For example, if fitness is your MLM focus, then people are looking to lose weight or get fit. I came up with blog topics that focused on tips and information about what my audience was interested in. I offered the products as a solution. It was a mostly no-touch system. I did my research and wrote the content. My customers clicked the links and purchased the MLM products. A good percentage are loyal, repeat customers too! Not only that, I’ve been able to recruit a number of customers into my business as distributors. Blogging is a powerful way to get new MLM customers. If you are ready to start blogging, I recommend finding a good webhost for your blog. You can learn more about the webhosting company I recommend. Did you know that Almost 5 billion videos are watched on Youtube every single day? The number of hours that people spend watching YouTube videos is up 60% year-over-years. It’s the number two search engine in the world and people love watching videos to get information about products or get entertained. Create YouTube videos about your MLM products so potential customers can learn about you and the products! Set up a nicely organized YouTube channel to get your videos in front of more viewers. I have videos that have thousands of views where I teach people about a variety of products. Many buying decisions get made via YouTube videos. It’s free to set up a channel and you don’t fancy equipment to create a video. You’re already using your MLM products right? It’s a no-brainer then to make a review video. Include a link in the description back to your MLM website or to contact you. Seriously, you could be missing out on a lot of new customers! Facebook is full of 1.9 billion people that you can share your MLM products with! Seriously, you can start a Facebook page and start reaching out to people who like your page. Not only that, but you can share your blog posts and YouTube videos on the Page too! This is a great way to meet people and share your MLM products. I have to admit this is the least favorite of the methods that I use but it works and I have gotten some new customers from Facebook. Once you build up enough people on Facebook, you can also learn how to use Challenge Groups on Facebook to increase your customer sales. There are many proven ways to find prospects that are interested in your products or services. One of the best methods is Facebook Ads. Imagine if you could reach YOUR ideal perfect customer who will actually want to buy your products? That is far different than begging people to take a look. With so many Facebook targeting hacks, you will leave your competitors in the dust for sure! Learn more about using Facebook Ads for Marketing your MLM Business. Finding customers for MLM can be a struggle if you are just going out and about to find people to talk with. When you use online attraction marketing methods, new customers can find you! Start building a loyal MLM customer base now and reap the rewards of building a successful organization. Register for our next marketing webinar where experts share what’s working to build your MLM business online.